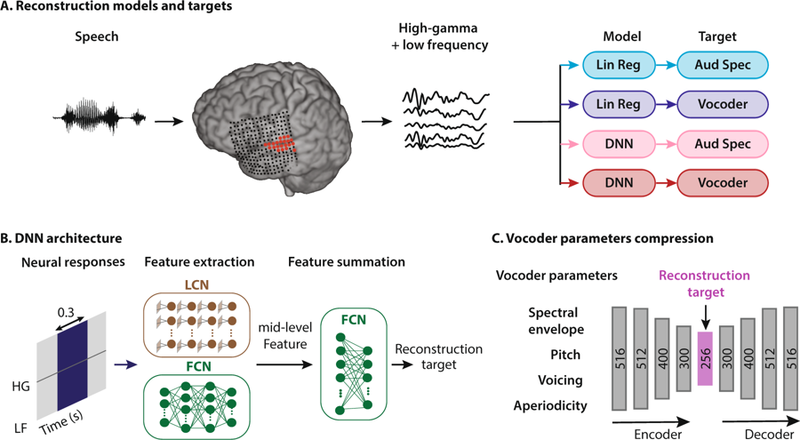 Researchers from Columbia University used deep learning to enhance speech neuroprosthesis technologies, that can result in accurate and intelligible reconstructed speech from the human auditory cortex. This research has the potential to one day help patients who have lost their ability to speak, communicate with their loved ones. “Our approach takes a step toward the next generation of human-computer interaction systems and more natural communication channels for patients suffering from paralysis and locked-in syndromes,” the researchers stated in their paper. The findings were published this week in Scientific Reports this week. Previous research has indicated that when people speak or imagine speaking, certain patterns, neural data, appear in their brain. Other patterns also emerge when we listen to or imagine someone speaking. Reconstructing speech from these neural responses, recorded from the human auditory cortex, could one day create a direct communication pathway to the brain. This work was done In conjunction with a neurosurgeon from Northwell Health Physician Partners Neuroscience Institute. This collaboration allowed the collection of data from patients who were already undergoing brain surgery. Using NVIDIA TITAN and NVIDIA Tesla GPUs, with the cuDNN-accelerated TensorFlow deep learning framework, the researchers were able to develop deep learning models that made possible the production of a computer-generated voice reciting a sequence of numbers with a 75% accuracy level. 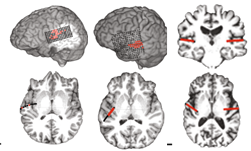 The paper is titled “Towards reconstructing intelligible speech from the human auditory cortex” and the code for performing phoneme analysis, and reconstructing the auditory spectrogram are available on the researcher’s page.